The Arcadia i-Bar mounts directly to the aquarium rim or screws into an existing hood of a cabinet style aquarium.  Designed to fit most popular aquariums with access panels.  Waterproof unit to IP67. 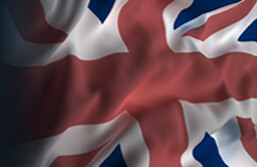  Telescopic ends for variations in tank length.  High efficiency electronic integral T5 ballast.  Uses 2 x T5 Tubes, 24w, 39w or 54w (not supplied). 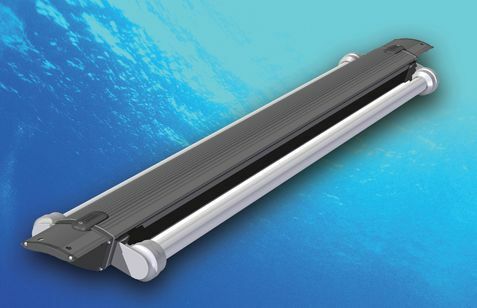 A convenient way to mount two T5 fluorescent tubes over an aquarium, the i-Bar is available in a range of sizes from 700mm through to 1500mm and due to its lockable telescopic end brackets can be adjusted to fit other sizes. The i-Bar rests directly onto the glass rim of the tank, resulting in the two tubes running the length of the tank, a reflector of suitable size can then be attached onto each lamp in order to focus the light into the aquarium and so maximise its performance and eliminate glare. Some commercially available aquariums use a rigid central baton and two plastic access panels in order to give an aquarium with a flat closed top surface, the i-Bar can be used to replace the central portion of such tanks and it will hold the access panels securely, the fit to the edges of the tank will be unaffected, this feature is useful when wishing to replace originally supplied T8 tubes for T5 tubes into such tanks.